Copag Texas Holdem is the official card of the World Series of Poker. This unique juiced deck of cards will bring a dynamic look to your poker game. These are Copag's Signature Texas Hold'em series 100% plastic playing cards. They are Poker size (2.5" x 3.5") and Jumbo index (large characters). Tips: Actually, the performance of the red cards will be better than the black ones. Also, Copag playing cards with dark background color will be more difficult to be marked than the playing cards with light color. UV marked cards poker and IR marked playing cards are available. They are unique to their own special invisible ink contact lenses. It means ultraviolet marked cards can not be detected by infrared contact lenses, at the same time, IR marked deck can not be detected by UV contact lenses. 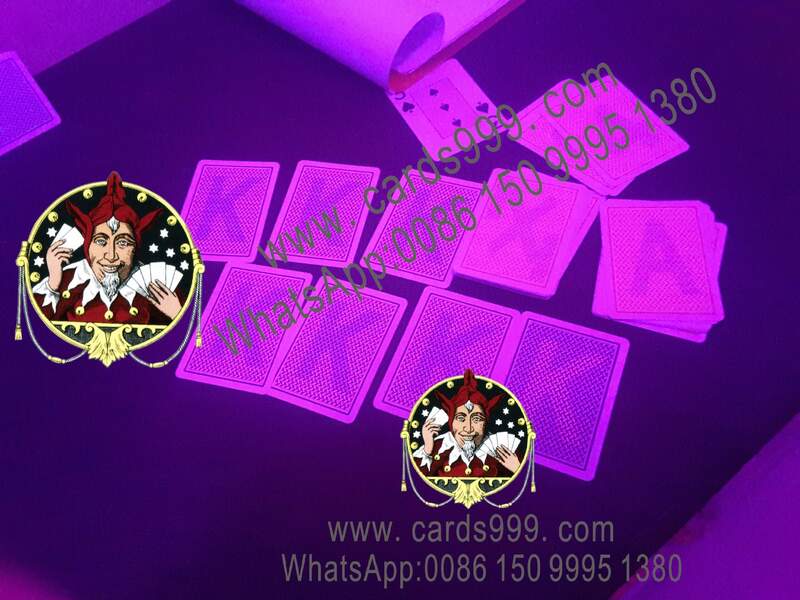 Luminous ink marked cards poker can be only detected by the player who is wearing the cards reader contact lenses at various lights including the energy saving lamps.